Only one of the most important essential vitamins there are! Vitamin C (or ascorbic acid to give it its’ fancy name) is a powerful antioxidant found naturally in citrus fruits and many vegetables. Vitamin C is referred to as an essential vitamin because it’s not produced in the body. That means that a person’s diet is the only way to get it. Vitamin C is vital for many reasons. It’s needed to form collagen in fibrous tissues, teeth, and bones. And there’s even research to suggest that vitamin C can help to protect us from a variety of cancers. How? By disarming the two major types of free radicals. Free radicals are unpaired atoms that can form when oxygen interacts with certain molecules. These rogue atoms are highly volatile and can be destructive to DNA, protein, and cell membranes they contract. Cancer, Parkinson’s Disease, and aging are all linked to free radicals. But luckily, the body is able to defend itself with antioxidants like vitamin C, beta-carotene, vitamin E, and lutein. Nowadays, it’s rare to be deficient in vitamin C. But evidence suggests that many people still don’t get enough of it. Decreased ability to fight off infection. A well-known symptom of severe vitamin C deficiency is scurvy. The disease is a result of 60–90 days of vitamin C deficiency. But scurvy is a rarity in most developed countries, as there is plenty of vitamin C-rich produce available. Vitamin C’s direct antioxidant actions protect against bone-destroying chronic inflammation. Regardless of its source(s), chronic inflammation excessively activates osteoclasts — cells that break down and absorb bone during remodeling — and causes bone loss. So vitamin C’s antioxidant actions provide essential protection for our bones. The antioxidant glutathione is integral in the body’s antioxidant and detoxification defenses. When there are insufficient levels, irreversible cell damage — resulting in cell death — can occur. As we age, our ability to produce glutathione declines, but our need for it increases. In women, glutathione requirements increase, particularly after menopause. Postmenopausal women use up their glutathione much quicker due to the loss of estrogen. Estrogen has many anti-inflammatory effects, including boosting our production of glutathione and other key antioxidant enzymes. 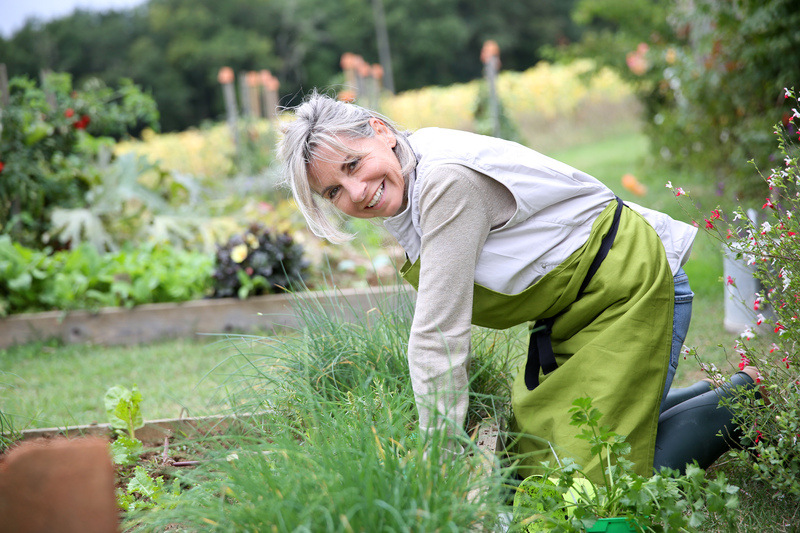 The drop in estrogen production that occurs with menopause results in an increase of active free radicals. In turn, there’s an increase in the production of osteoclasts and bone resorption. Studies on rats, however, show that vitamin C increases glutathione levels and can reverse this scenario. Vitamin C’s anti-inflammatory activities ensure its place as an essential bone-health nutrient. But it has many other important bone-building actions too. Vitamin C is vital to collagen development. And since more than 90% of the protein in bone is made from collagen, vitamin C is an essential nutrient for healthy bone. Vitamin C also stimulates the production of mesenchymal stem cells (MSMs). MSMs cells are produced in our bone marrow and can develop into different types of cells, including cartilage, muscle, and fat cells, as well as bone-building osteoblasts. 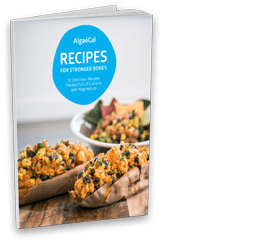 Want to learn more about collagen? 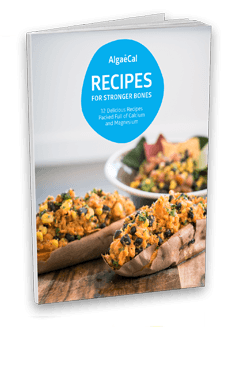 Check out our post: A Vegetarian’s Guide to Collagen and Healthy Bones. There have been many studies to assess vitamin C’s importance for bone health. Most have involved both men and women over the age of 60 and postmenopausal women — not surprising since osteoporosis and the incidence of osteoporotic fracture are highest within these groups. Virtually all studies report significant beneficial effects of vitamin C on bone mineral density and/or risk of fractures. Research shows that vitamin C can be particularly beneficial for men. One study followed a group of 334 elderly men (average age 75) for four years. 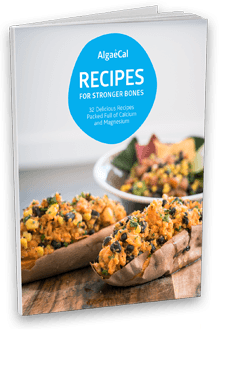 Those with the highest total dietary and supplemental vitamin C intake lost the least bone mineral density (BMD) in the femoral neck and trochanter — the sections of the femur that connect to the hip bone. Even when their intake of calcium and/or vitamin E was low. Another study examined the connection between vitamin C intake and bone health. Researchers evaluated the bone density in 213 men and 393 women (average age 75) for four years. Men with the highest dietary vitamin C intake (over 300 mg/day), had significantly less bone loss than men with the lowest vitamin C intake, who were consuming just 106 mg/day. Women also benefited from greater dietary vitamin C intake, but not as significantly as men. For a little context, the male Reference Daily Intake (RDI) is 90 mg/day. 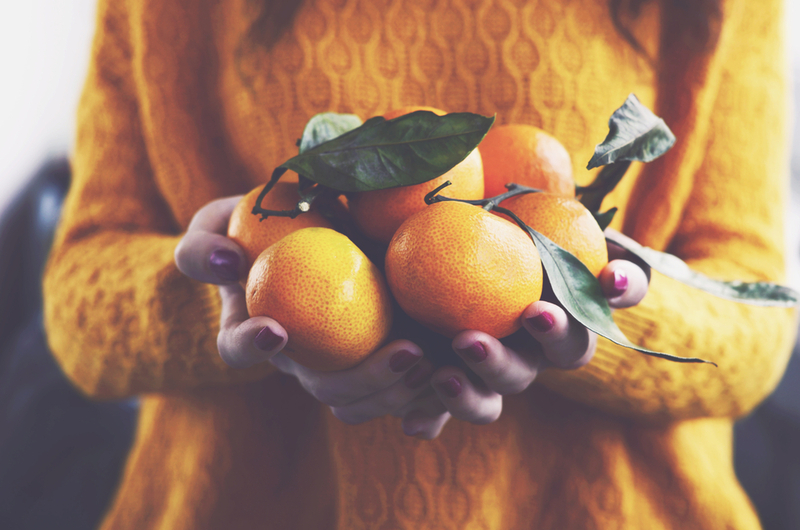 A diet high in vitamin C can have significant positive associations with bone mineral density in postmenopausal women too. Especially in those who are vitamin D deficient. One study divided 1,196 postmenopausal women over the age of 50 into three groups according to their daily dietary vitamin C intake. Dietary vitamin C intake was strongly associated with BMD at all sites evaluated: the lumbar spine, femoral neck and total hip. The study found that women with osteoporosis consumed far less dietary vitamin C (less than 46 mg/day) than those without osteoporosis (who consumed at least 94 mg/day). The RDI for women is 75 mg/day. In the women aged 50–59 years or 70+ who were found to be deficient in vitamin D, consuming less than 100 mg/day of vitamin C correlated with a 79% increase in risk for osteoporosis. The longest trial reported to date is the Framingham Osteoporosis Study. 366 men and 592 women (average age 75) were followed for 15–17 years to evaluate the connection between vitamin C intake (total, dietary, and supplemental) and osteoporotic hip fracture. Participants were divided into three tiers according to their vitamin C intake. Those in the highest tier (average vitamin C intake of 313 mg/day) had significantly fewer hip fractures and non-vertebral fractures compared with study participants in the lowest tier, which averaged around 94 mg/day. But even in the group with the lowest vitamin C intake, the average still exceeded the RDI for both men and women. When the Framingham data was further analyzed, it was discovered that these beneficial effects were largely due to supplemental vitamin C rather than dietary intake. Those in the highest tier of supplemental vitamin C intake, where the average intake of vitamin C was 260 mg/day, were found to have a 69% lower risk of hip fracture. Results from a six-month pilot study involving 34 postmenopausal women (average age 66) revealed that supplementation with 1,000 mg/day of vitamin C plus 400 mg vitamin E was just as effective as resistance exercise in preventing spinal bone loss. Researchers wanted to see if combining vitamin C and E supplementation with high-intensity resistance exercise (60 minutes, 3x a week) would be more effective than exercise alone. It wasn’t. What they discovered was that just taking supplemental C and E stopped bone loss in the lumbar spine every bit as effectively as a hard workout 3x a week. Adding further weight to the findings, the women who didn’t exercise or take supplemental vitamin C and vitamin E lost a lot of spinal bone (0.01 g/cm2 in just six months). At this rate, 2% of BMD in the lumbar spine will be lost in one year — double the average annual bone loss of 1%. During the first few years of the menopausal transition, 2% bone loss is common, but recall that the women in this study were on average 66-years-old! Other findings confirming vitamin C’s ability to lessen the rate of bone loss were reported in a study of 533 nonsmoking, postmenopausal women in Australia. Bone resorption was lower in the 22 women identified as current users of supplemental vitamin C or vitamin E, compared with the rest of the participants. In addition, the longer a woman had been taking vitamin C or vitamin E, the more benefit was seen. Testing with serum CTx, a bone resorption marker, average CTx levels were 0.022 units lower for each year the women had supplemented with vitamin C or E.
The researchers’ conclusion? Antioxidant vitamin C or E supplements suppress bone resorption in nonsmoking postmenopausal women. Research analyzing data collected from 363 fourth and sixth-grade girls — all enrolled in the Jump-In study — found vitamin C intake had major beneficial effects on bone volume, geometry, and strength. Particularly in the fourth-grade girls. The area, circumference and strength of their femur bones were strongly associated with vitamin C intake. Average intake of vitamin C was 109 mg/day, but intake ranged from 47 to 171 mg/day. For every milligram of vitamin C intake above the RDI, which for young girls is just 45 mg/day, there were notable increases in bone density. Specifically, trabecular area (spongy inside bone) increased by 11%, cortical (outermost bone) strength improved by 14%, and the periosteum and endosteum circumferences (connective tissue covering the outside layer of bone) increased by 5% and 8.6%, respectively. Over the last decade, hundreds of studies have been conducted on vitamin C revealing its benefits. Prevents Scurvy: Scurvy is a severe form of vitamin C deficiency. While extremely rare nowadays, evidence suggests that many people still have low levels of vitamin C. Thankfully, scurvy can be fully treated in a matter of weeks with vitamin C supplementation. May Shorten the Common Cold: Despite the belief that vitamin C can cure the common cold, the science has been inconsistent. Overall, research shows that regular intake of 200 mg/day of vitamin C does not reduce the frequency of the common cold in the general population. However, these intakes could be beneficial for people exposed to extremely cold weather environments or physical exercise. This includes those with marginal vitamin C status, such as chronic smokers and the elderly. Plus, vitamin C supplements may help shorten the amount of time you have the cold. Boosts Iron Absorption: Iron deficiency has been recognized as a cause of disease since the 17th century. Vitamin C has been shown to increase your absorption of iron. So while not a direct benefit of vitamin C, if you have a difficult time absorbing enough iron, vitamin C supplementation may increase your iron uptake. Decreases Urinary Tract Infections: Urinary Tract Infections (UTIs) are common in older women and men. Classic symptoms include frequent urination and burning pain, however, urinary tract infections may appear as behavioral symptoms in older adults, such as confusion. Vitamin C inhibits bacterial growth– and bacteria can cause a UTI– so doctors may prescribe citrus fruit drinks to patients. May Reduce Cataract Risk: A cataract is a clouding of the eye lens, which can lead to decreased vision. Cataracts are related to aging and can develop over time in one or both eyes. Animal and human studies have shown that vitamin C may reduce your risk of developing cataracts. However, one large Swedish study found conflicting evidence. Reduces Muscle Soreness from Exercise: Due to its antioxidant properties, vitamin C supplementation before exercise may reduce muscle soreness and muscle damage. If you exercise regularly, you could see quicker recovery time and fewer muscle aches and pains. Reduces Wrinkles: Vitamin C has long been touted a key antioxidant ingredient in many skin and facial serums and creams — and science has demonstrated its ability to combat free radicals and help skin damage associated with aging. One astonishing study, in particular, found that patients who treated their skin with vitamin C for wrinkles, roughness, skin tone, and sallowness saw a 57.9% improvement in their features than those who did not. Increases Calcium Absorption: Iron isn’t the only nutrient that’s absorbed better thanks to vitamin C. Vitamin C may also increase intestinal calcium absorption. This duo works synergistically too; together, calcium can also make it easier for your body to absorb vitamin C.
The Reference Daily Intake (RDI) is considered the daily dietary intake level of a nutrient considered to meet the requirements of 97–98% of healthy individuals in each gender group and life stage. An additional 35 mg/d is recommended for smokers as many toxic compounds in cigarette smoke rapidly deplete vitamin C.
Are Vitamin C RDIs Inadequate? RDIs for vitamin Cwase set back in 1996 using healthy volunteers. But researchers aren’t convinced they’re on par with the actual optimal intake, which many believe to be much higher. Vitamin C gets used up much quicker during periods of acute illness, as well as chronic inflammation. Chronic, low-grade inflammation, which affects the majority of people over the age of 50, also plays a major role in osteoporosis. This further indicates that the RDI provides less than optimal support for healthy bones. The tolerable upper limit for vitamin C is 3,000 mg/d, but the research evidence suggests that intakes up to 4,000 mg/d are well tolerated in the general population. Recent studies show between 10–17% of the US population is vitamin C deficient. This isn’t surprising given the number of very common factors that increase our risk of vitamin C deficiency, which we’ll learn more about in the next section. What Increases Your Risk For Vitamin C Deficiency? Insufficient Dietary Intake. Not getting enough from your diet is the major cause of vitamin C deficiency. Even the recommended five servings per day of fruits and vegetables, which few Americans are consuming, only provides around 200 mg of vitamin C.
Being Overweight. Carrying extra fat, particularly on your belly, leads to chronic inflammation and increases the need for vitamin C to combat it. The situation is compounded by high cholesterol, high triglycerides, and non-alcoholic fatty liver disease. Exposure to Environmental Toxins. We’re not just talking cigarette smokers here. People exposed to secondhand smoke or other environmental toxins like smog, lead, and pesticide residues are also at increased risk of vitamin C deficiency. Aging. As we age, the likelihood of vitamin C deficiency increases. That’s partly due to age related inflammation. But aging liver cells also produce fewer of the proteins that help us transport vitamin C around the body. In animal studies, production of a key type of liver cell for this process declines 45% with age. You’ll find that the top vitamin C food sources are all plant foods. While citrus food may be the most common association, there are a whole host of excellent sources of vitamin C.
Acerola Cherry, also known as Barbados cherry, is one of the highest food sources of vitamin C. One cup provides a whopping 1,644 mg! But this berry is most commonly found in supplement form because it decomposes within five days of harvest! DV* Daily Value. 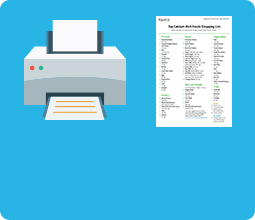 Daily Values were developed by the U.S. Food and Drug Administration (FDA) to help consumers determine the level of various nutrients in a standard serving of food in relation to their approximate requirement for it. The label actually provides the %DV so that you can see how much (what percentage) a serving of the product contributes to reaching the DV. 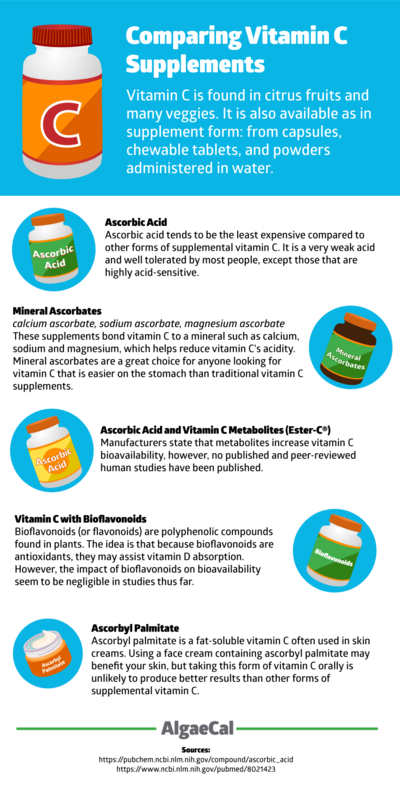 Ascorbic acid is by far the least expensive supplemental form of vitamin C. Ascorbic acid is very weak and is well tolerated by most people, except those who are highly acid-sensitive. These people may experience gas or loose stools when taking larger amounts. This reaction can easily be prevented by taking three to six smaller doses throughout the day, ideally with meals or a snack. And multiple small doses are a good idea for all of us, as fractional absorption of vitamin C decreases as the amount consumed at one time increases. When 200 mg is consumed, 100% is absorbed. As the dose increases, the amount of vitamin C absorbed decreases: when 1,250 mg is taken all at once, less than 50% is absorbed. Mineral ascorbates offer the benefit of being highly unlikely to cause gastrointestinal distress, as they’re not acidic. They contain ascorbic ions rather than ascorbic acid. The ascorbate ions are bound to a mineral, typically calcium, sodium, or magnesium. These ions and their accompanying mineral are released in the stomach when they come into contact with stomach acid during digestion. Stomach acid then converts the ascorbate ions into ascorbic acid, readying the acid and mineral for absorption. Because of the stomach acid-neutralizing effect of proton pump inhibitors, like Nexium or Prilosec, if you’re taking one of these drugs, you may not be able to effectively digest and absorb vitamin C from a mineral ascorbate. One capsule of a proton pump inhibitor will prevent stomach acid production for up to 24 hours. Ascorbic acid supplements are 100% vitamin C. So the amount shown on the label per capsule is the amount of vitamin C provided. However, mineral ascorbate supplements differ slightly in the amount of mineral and vitamin C they contain. You’ll need to check the label to see precisely what you’re getting. AlgaeCal Plus contains 50 mg of calcium ascorbate (84% of your Daily Value) in a daily dose of 4 veggie capsules. While it shouldn’t be your only source of vitamin C throughout the day, it adds to your total daily intake. It’s also clinically proven to increase bone mineral density safely and naturally in three human clinical studies. 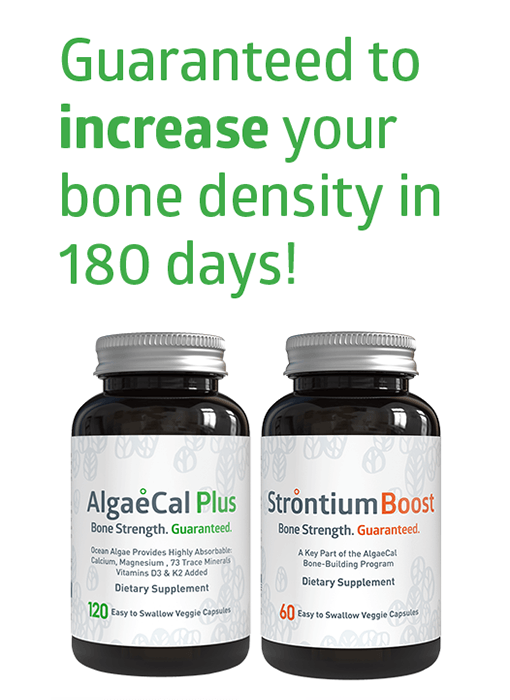 Vitamins and minerals work together for your bones and your health and AlgaeCal Plus allows them to do so. Not only does it contain plant-based calcium, but magnesium, vitamins K2, D3, C, boron, and trace minerals in their proper proportions — the way nature intended. One ascorbic acid supplement with vitamin C metabolites is available. Marketed as Ester-C®, it contains calcium ascorbate accompanied by small amounts of compounds claimed to increase the bioavailability of vitamin C. However, the only published study in humans checking this assertion found no differences in absorption or urinary excretion of vitamin C between Ester-C® and inexpensive ascorbic acid tablets. 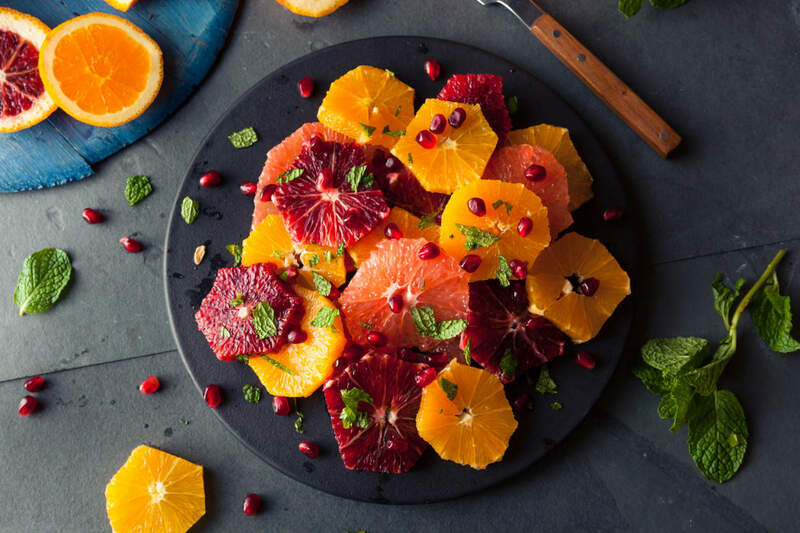 In animal studies, vitamin C’s absorption and transport to organs is significantly increased by bioflavonoids such as hesperidin, rutin, and catechin, which are naturally present in flavonoid-rich fruits and vegetables. The reason for this is thought to be that bioflavonoids have antioxidant effects themselves and thus spare vitamin C, increasing its availability. However, in some animal studies, bioflavonoids actually interfered with vitamin C’s binding to its transporters in the bloodstream, thus lessening its bioavailability. Plus, in contrast to the animal studies, human studies have shown little difference between the bioavailability of synthetic vitamin C and that from different fruits, fruit juices, and vegetables. Overall, the research suggests that when supplementing with vitamin C, we can save money by simply using inexpensive ascorbic acid in tablet or powder form. Ascorbyl palmitate is a vitamin C ester. This means ascorbic acid is tied to a fatty acid, creating a fat-soluble vitamin C. Fat-soluble vitamin Cs are often used in skin creams. Vitamin C is not normally available in a fat-soluble form; that’s the domain of the fat-soluble antioxidants, like vitamin E. Applying a face cream containing ascorbyl palmitate may be beneficial for your skin, but taking this form of vitamin C orally is unlikely to produce better results than other forms of supplemental vitamin C.
Vitamin C supplementation has been intensively studied, so we have a robust database confirming that vitamin C supplements are safe for the general population. Because of vitamin C’s antioxidant and immune boosting effects, many people consume seemingly high quantities of vitamin C. The amounts people often supplement with are above the current recommended intakes, but could actually be well below optimal health intakes. Numerous studies of vitamin C supplementation have provided no substantive evidence to support concerns about safety other than occasional gastrointestinal upset or mild diarrhea. Reviews of the medical research conducted by different authors have consistently found that vitamin C is safe at intakes of 2,000 mg/d. The upper limit for vitamin C, set primarily to avoid diarrhea, is 3,000 mg/d. The list of hypothetical adverse effects you are likely to see on various websites, including claims that vitamin C might increase the chances of forming kidney stones, increase risk of gout, cause excess iron absorption, reduce vitamin B12 concentrations, or even induce “rebound” scurvy, have all have been found to have no substantive basis.